Here’s a custom tent display for a tabletop or counter. 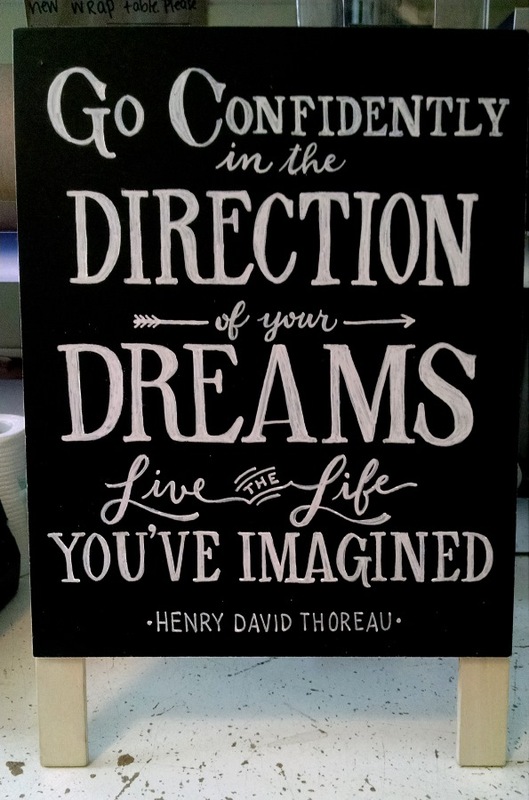 It’s made of painted plywood and hardwood, with hand-lettering of an inspirational quote from Henry David Thoreau. It was done for a college graduation party. Congratulations!